Buying bonds is risky in the current economic climate. Bonds are usually considered one of the safer investments, especially by long term investors that are looking to safely invest their money and earn a consistent rate of return. However, after years of sluggish economic growth and “loose-money” policies by the United States Federal Reserve, bonds are at historically high prices and are paying out historically low yields, which makes them not only unattractive investments based upon their yields when compared to other investments, but downright risky to hold. The reason why buying bonds is risky at the moment is because financial products have a tendency over time to revert to the mean price levels at which they traditionally trade. If the United States economy begins to grow more rapidly and the United States Federal Reserve starts to raise interest rates, bonds will likely revert to their mean trading levels that they have historically traded at. This would cause the price of bonds to drop significantly, which will cause those investing in bonds at currently elevated prices to lose a significant amount of their principal investment. Despite the perception that buying bonds is a safe investment, the reality is that buying bonds is risky at current levels. The perception that bonds is a safe investment is true during normal economic times, but needs to altered during the current economic backdrop that is skewed by government interest rate policies that are still in place to deal with the fallout from the 2008/2009 financial crisis and resulting banking sector problems and economic slowdown. Based on valuations and the potential for bonds to decrease in price as the economy strengthens, buying bonds is risky. Essentially, bonds are in a bubble and overbought due to overwhelming demand from investors looking for the safety that bonds are perceived to provide. Bubbles tend to end with a drop in the price of assets that are traading at bubble levels because so many people own the same assets and try to get out of them at the same time. This is why buying bonds is risky in the current environment. Once the tide turns against investing in bonds, the money invested in bonds will rush out of bonds and cause them to fall rapidly in value. 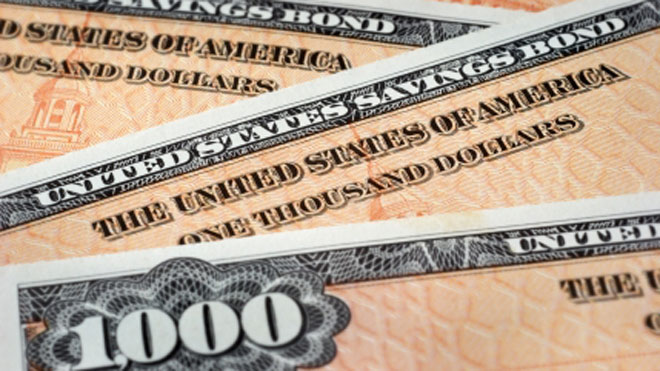 The losses in some bonds, particularly United States Treasury bonds, could be significant once investors shift a portion of their investment portfolio out of bonds. While buying bonds is risky, investors looking for safe interest paying investments may want to consider alternative investments, such as annuities or Real Estate Investment Trusts (REITs). Stay up to date on why buying bonds is risky by getting on our FREE eMail list! « What is a Penny Stock?